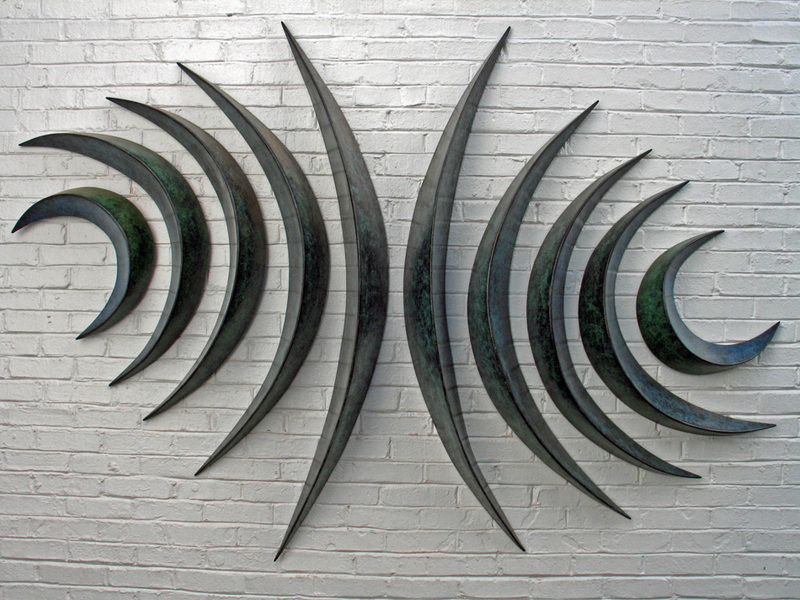 This wall sculpture is comprised of ten suspended curvilinear shapes that create a sense of compression and expansion. 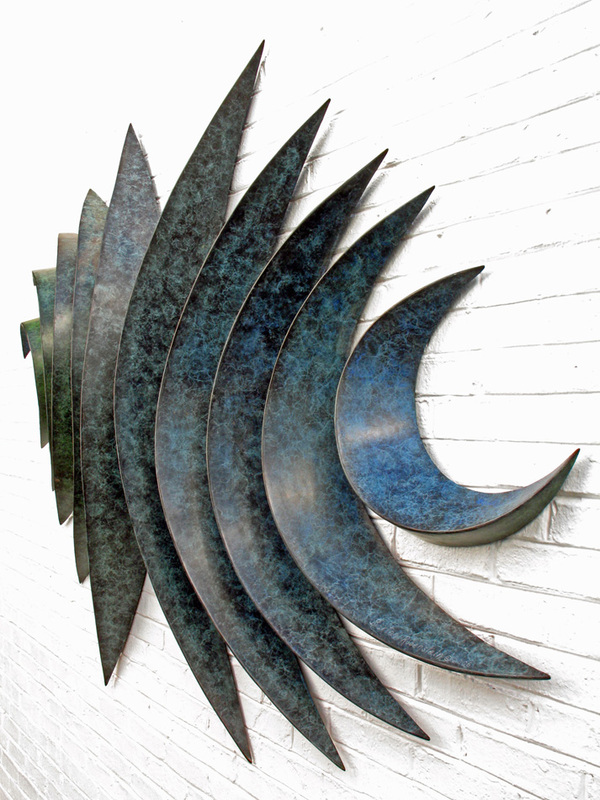 The patinated surfaces have hues of blues and greens, changing from one color to the other as the observer looks across the artwork. 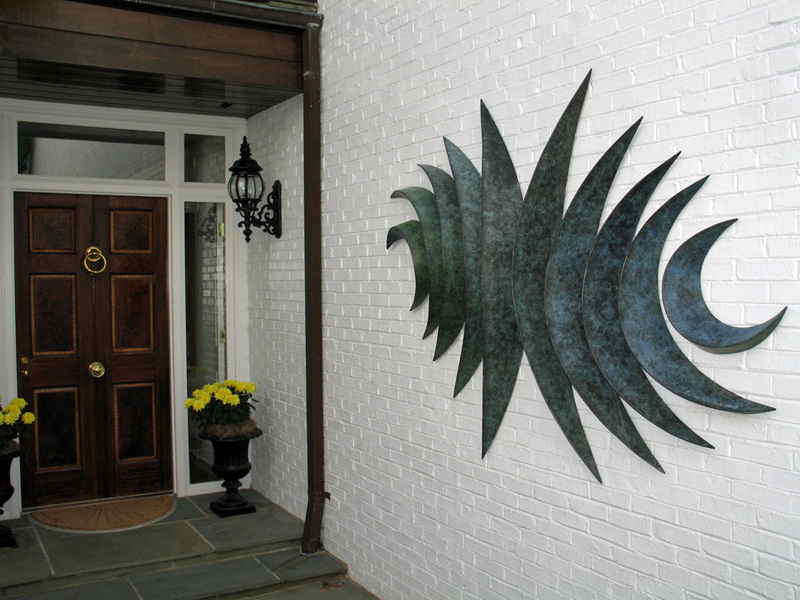 Created for a private residence in McLean, Virginia.